New Mercedes-Benz SLS AMG GT Final Edition brings an impressive era which ended in an exclusive style. GT models are built in limited numbers, only 350 units. Super sport Mercedes-AMG which carrying central engine AMG 6.3-liter V8 is capable of spewing power 591 hp at 6.800rpm and torque 650nm at 4.750rpm. A variety of advanced features are also pinned at New Mercedes-Benz SLS AMG GT Final Edition. Almost all of the advanced systems that ensure this exotic car can run fast, easy to control, and cutting-edge quality. To accelerate from rest to 100 km / h New Mercedes-Benz SLS AMG GT only takes 3.7 seconds. While the 0-200 km / h in just 11.2 seconds. And if not be limited then he has not stopped before penetrating speed of 219 km / hour. 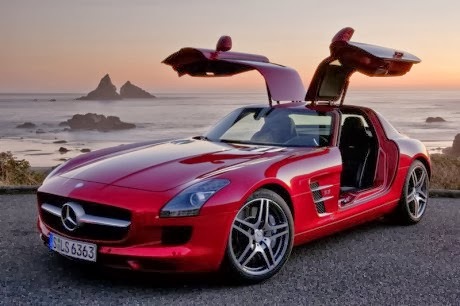 As a information, since the world premiere at the 2009 Mercedes-Benz SLS AMG has won various important awards internationally. The award was obtained on the basis of the design which amazing and the world recognizes that this exotic super have outstanding driving dynamics.